[SHIFT-IT Coach] It Ain't Always Pretty... Or Easy! After our South Beach dinner... a few of the platinum chicks hanging out on the warm beach (before the weather turned nasty). 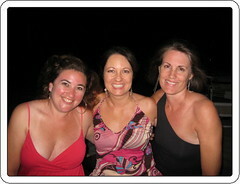 Beth Schneider (left), Melanie (middle) and me (right). Was in Miami last week attending a Platinum Mastermind Retreat with my business coach, Melanie Benson-Strick. We got there just in time for Tropical Storm Fay … and thankfully out again before the storm did a boomerang and walloped Florida again. Melanie and my mastermind cohort have been an awesome resource as I put myself and SHIFT-IT Coach, Inc through our next transformation. This retreat my focus was on team building, creating systems and getting myself even more into the CEO mindset. And frankly, finding a CEO mindset that fits the supportive and emotional nature of my business mission. In short, there’s a lot of growth and exciting developments happening. However with this growth comes a few missteps, challenging encounters and re-vamping of different relationships and structures. Growth isn’t always an elegant or pretty process – it can get awkward, hard and even embarrassing at times. So this issue is an ode to the ugly duckling syndrome … sometimes we have to go through an‘ugly’ period in order to emerge lookin’ and feelin’ better. And that is ok too. Nov. 5-8: Meeting Graphics 101 and The Graphic Bootcamp (level 1 and level 2 combo): Yes, its true. This is the LAST EVER offering of my popular, inspiring and nurturing training in using interactive-graphics in group settings. 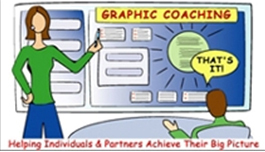 Learn the base underlying skills for graphic recording and graphic facilitation, no matter what level of artistic ability. Plus all the inside scoop on marketing, business development and personal mindset … for both internal and external consultants, facilitators, trainers, etc. Let my over 14+ years experience live on thru you! More Info. Sold Out … Join Waitlist. Free Preview Series Starts Next Wednesday! Dealing with Your Resistance and Law of Attraction. In the month of September, we're going to be offering you THREE fr-ee events to connect with and learn from The SHIFT-IT Coach. We've outlined these calls on the virtual events page and you can have access to all three just by registering once! We're going to take this opportunity to give you a SNEAK PEEK at our Fall programs but we're also going to be providing you with ample content, the opportunity to work live on the calls with The SHIFT-IT Coach and we've also got some great bonus opportunities lined up! (5PM Mountain, 6PM Central, 7PM Eastern). You can tune in absolutely free on September 11 at 4PM Pacific (5PM Mountain, 6PM Central, 7PM Eastern). The live, streaming session is 1 hour in length. All calls and the streaming video will be recorded so even if you can't attend live, be sure to register! Check out this page for full details and register your seat soon! We have limited space and want to be sure that you can get in on the action... It's going to be fun! ARTICLE: IT AIN'T ALWAYS PRETTY... OR EASY! Business growth is learning how to work effectively with the Law of Attraction (LOA) – and both can take a while to get the hang of! There are times when you are sailing along and all is going fantastic (when you are in alignment) and other times when you can’t seem to do anything right and attract one tough situation after another (not in alignment). As my business has grown there have been plenty of ‘in the flow’ experiences --- great clients, really interesting work, cool networking, amazing learning forums, increased prosperity, etc. However, there have also been some real rapids along the way too that are forcing me to grow up, exert boundaries, get a hold of myself, etc. Running a business is a huge cauldron for growth. As part of a coaching group I belong to, I was put through a personality test called Insights Discovery Profile. I came out almost exactly even on two of the four basic personality types (now people have evidence for calling me a split personality!). One the types (my highest by a smidgen) is the ‘Green’ persona... caring, encouraging, sharing, patient and relaxed. While there are plenty of wonderful traits to being a ‘green’, there are also some real downsides. One of the hardest things for us to do is to say ‘no’ and to clarify our needs and express them. How does this type play out in business? Well, it can make us kind of passive and wimpy at times. We go along to get along, and can take a very long time to figure out how we really feel about things. And then do something about it (we don’t like to rock the boat). I’ve attracted a number of situations lately that have been great practice for speaking up for and enforcing my boundaries. Putting myself into the calculation instead of just everyone else. It felt really good to clarify and then express my opinion and needs – and to feel justified in having a difference of thought from the other. How about you? Do you forgot that your needs count and matter too? That it’s ok to look after yourself, that in fact, it’s a necessity for living well. A lot of sensitive, artistic, creative people are attracted to SHIFT-IT work (heavy green energy). Boundary education and strengthening might be in order for you too. The other style that the personality test showed I had a lot of in my psyche was the ‘red’ type … the competitive, demanding, strong-willed, determined and purposeful persona (the direct opposite to my leading green energy). I have a feeling this dichotomy has been with me for a very long time --- making it challenging for me to figure out myself (let alone the poor folks in my vicinity who are left scratching their heads in confusion – oy vey!). The great side of red is that it is a driven energy. People with red get things done and push things through – and they have great confidence in themselves. A lot of service-based businesses do not survive because they are lacking this vital element. However there is a real downside or shadow aspect of the red type --- that you can get way too pushy, domineering and alienate yourself from other people in your quest to succeed and get your goals met. There can be a lot of ‘road kill’ on the path up the mountain. While I have experienced pride in enforcing my boundaries in some situations, I have experienced shame in how I have gone overboard in others. There is a big difference between sticking up for oneself and disrespecting or abusing others. Do you relate to the red energy? If so, appreciate the gifts of your type but also consider the shadow aspects that might be causing interference and problems for you. You count and matter but so does everybody else. You might accomplish your goals with less friction if you ease up on the drive and ambition to work more pleasingly and collaboratively with others. Its not all about you. There are two other types to the Insights Discovery instrument – the yellows and the blues. 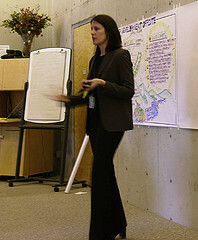 The yellow persona is sociable, dynamic, demonstrative, enthusiastic and persuasive. And the blue persona is cautious, precise, deliberate, questioning and formal. I had quite a bit of yellow in my make up... but not so much blue. I’ve done a lot of different tests and instruments over the years and was initially skeptical when my coach suggested this one for us all to do. However I found it really illuminating and am truly excited and grateful for the things I learned through it. Its helping with self awareness, dynamics with my team, understandings about sales and marketing, etc. If you are resonating with any of the types or the overall concept of this tool, I’d suggest finding a skilled, certified evaluator who can help you do the test and go over the results with you. See: www.insights.com. Nobody is perfect... all types have their gifts and challenges. Its self-awareness and the path to integration that is the real game at stake here. I have the task of learning to discern when green is the right energy to lead with or when red is --- to integrate these opposite energies within my business and myself. And you have the task of learning to best maximize whatever combination of traits make up your unique personality. Learning to work with the polarities of life to extract the best feeling state will keep us all busy and entertained for a lifetime. 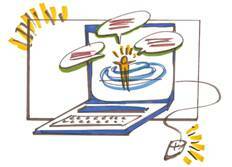 Ask Christina: Are You No Longer Doing Graphic Skills Training After 2008?